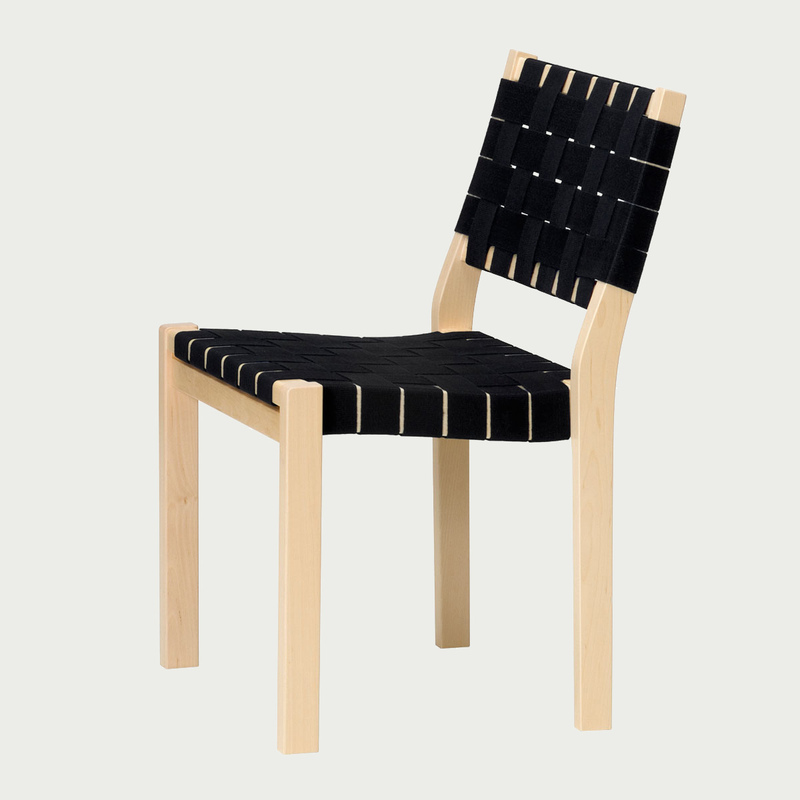 Material: Solid birch frame, 100% Linen webbing. 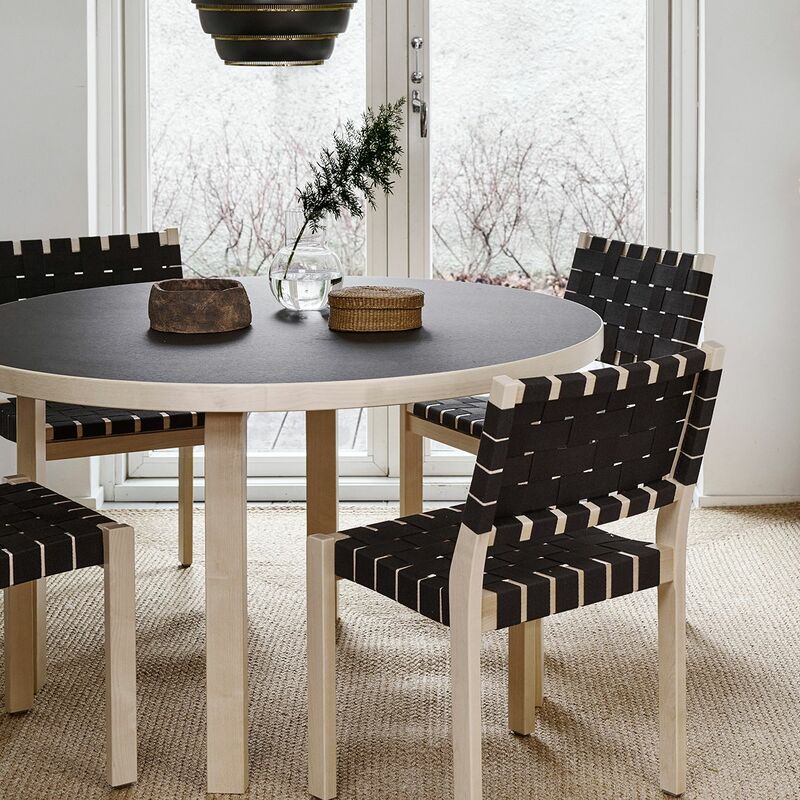 Designed by Alvar Aalto in 1929, Chair 611 was one of his first furniture pieces. 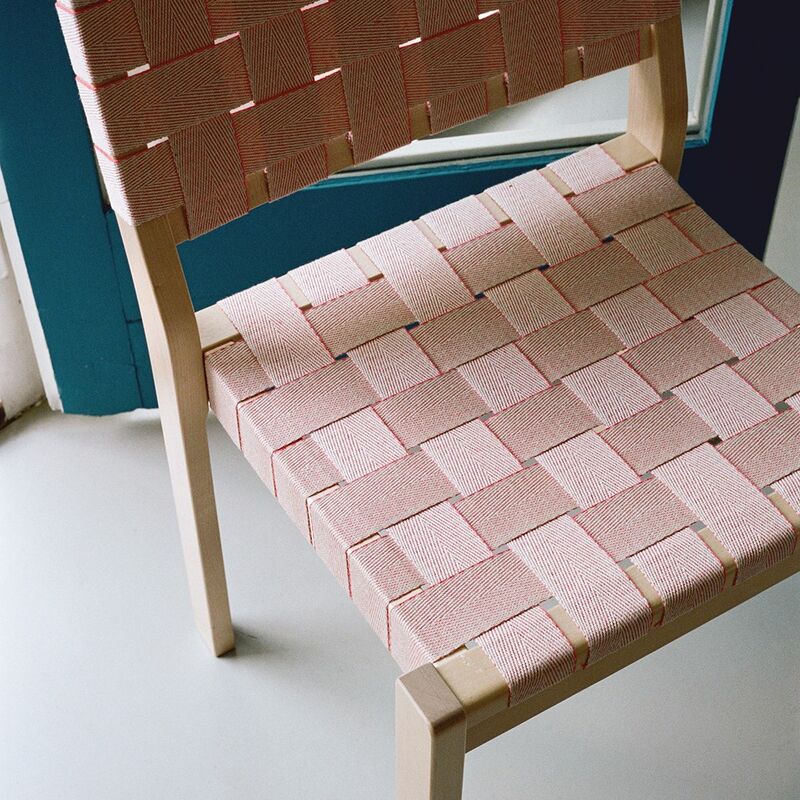 Clean-lined and functional, the innovative webbed design of this chair mimics the spirit of Aalto's modern architecture. 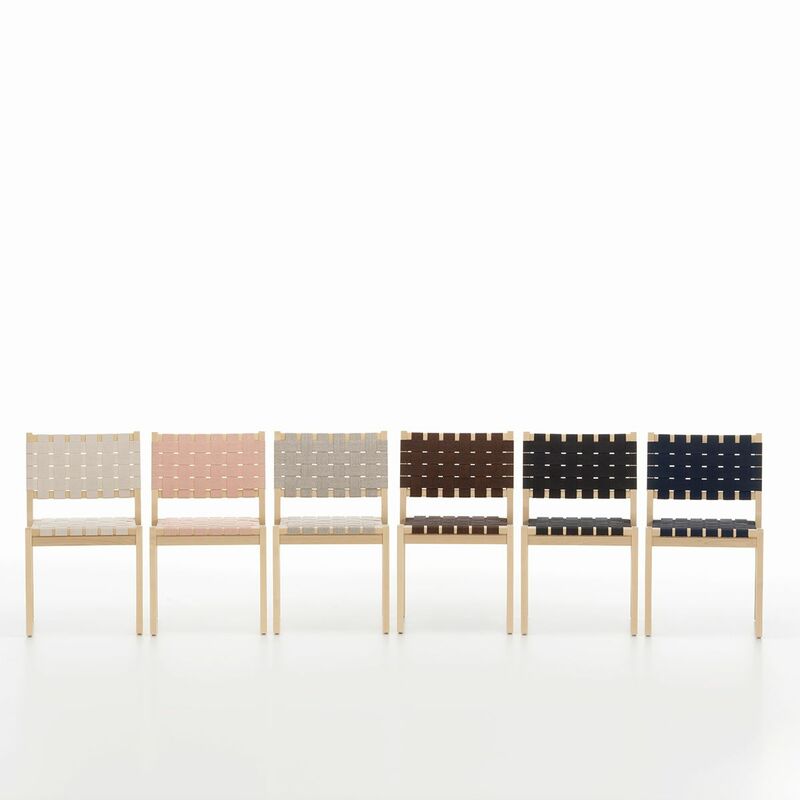 In constant production since its creation, this highly practical chair is suitable for almost any surrounding. 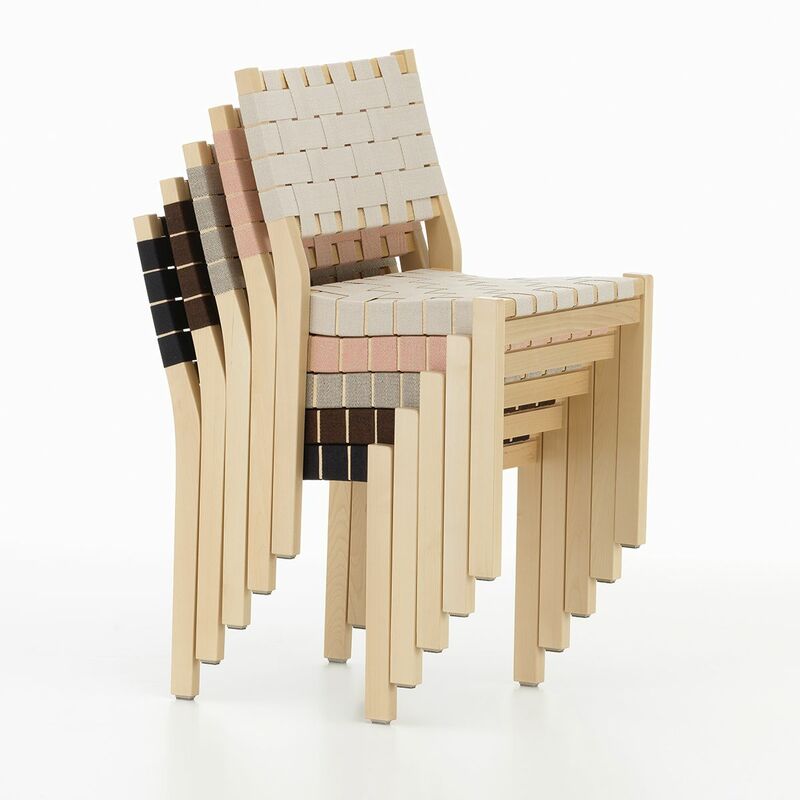 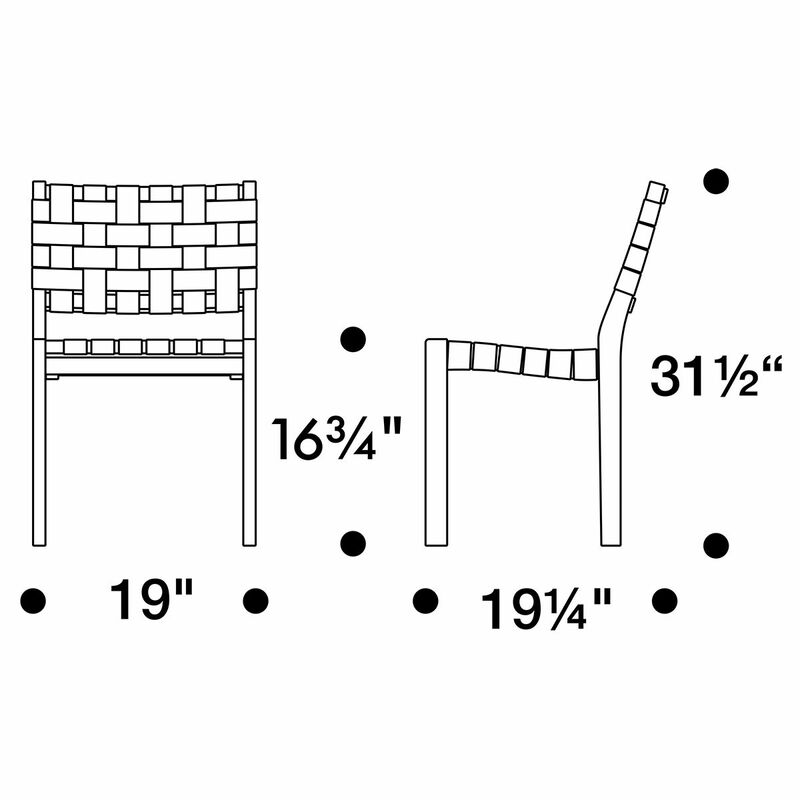 Made in Finland by Artek, this chair stacks up to 8 chairs for easy storage and ships assembled.Please review our Shipping Information page before ordering.